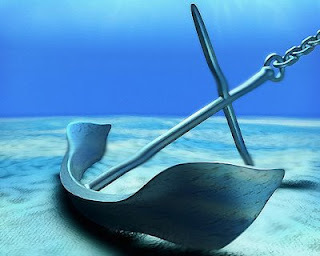 One of the most powerful tools in a negotiation is setting an anchor. One of the top things to look out for in a negotiation is someone else trying to set an anchor. As the name suggests, it can be extremely difficult to resist the holding power of this cognitive bias. "During decision making, anchoring occurs when individuals use an initial piece of information to make subsequent judgments. Once an anchor is set, other judgements are made by adjusting away from that anchor, and there is a bias toward interpreting other information around the anchor. "For example, the initial price offered for a used car sets the standard for the rest of the negotiations, so that prices lower than the initial price seem more reasonable even if they are still higher than what the car is really worth. "Studies have shown that anchoring is very difficult to avoid. For example, in one study students were given anchors that were obviously wrong. They were asked whether Mahatma Gandhi died before or after age 9, or before or after age 140. Clearly neither of these anchors are correct, but the two groups still guessed significantly differently (choosing an average age of 50 vs. an average age of 67)." "The seasoned players want to get as much information out of you as possible before they set their ranges. They figure whatever number you throw, it’s only an opening offer and they’ll move you off of it anyway. They see your number as more information, and they crave information." The above advice comes from The Black Swan Group, a consultancy founded by the guy who wrote the best book on negotiation I've ever read. I believe it's spot on. In my experience, people try to set anchors all the time, whether consciously or unconsciously. My defense is to do my homework and ignore their anchors. Knowing the fair price going in is the best way to avoid drifting toward someone else's price. Recently, when someone tries to set an extreme anchor, I have also been countering with an opposite extreme. That technique hasn't always resulted in the desired outcome (e.g. my desired price), but it does immediately clear out the BS so we can get down to getting serious. My philosophy is that if I'm not going to get to a reasonable place, I'd rather find that out quickly. Extreme counter-anchors tend to have that effect. Besides, if the person is haggling, you immediately draw them toward your anchor and away from their own.